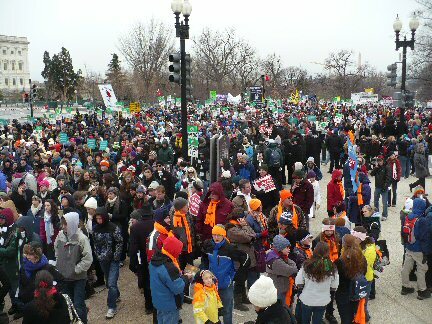 The March For Life protests opposing the Supreme Court decision to legalize abortion on January 22, 1973. 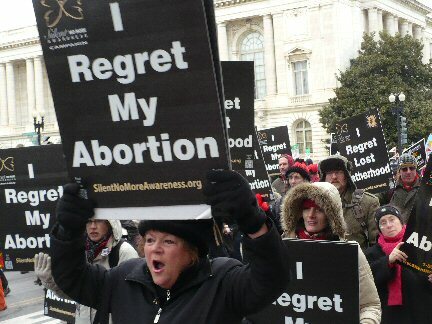 Since this decision, more than 55 million human babies have been murdered in the United States of America. 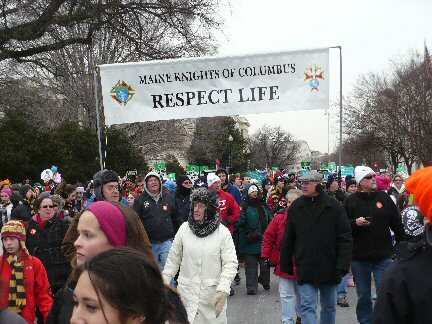 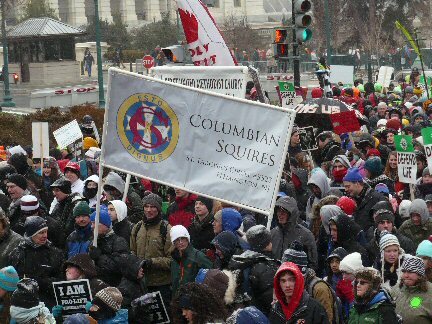 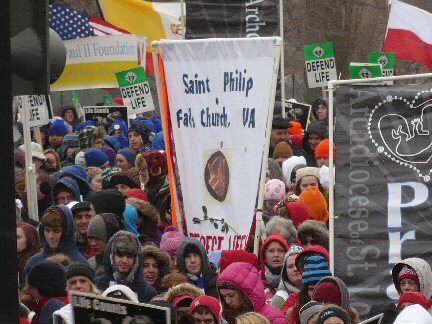 Participants in this year's March For Life, while sometimes differing in their religious faiths, shared a common pro-life commitment. 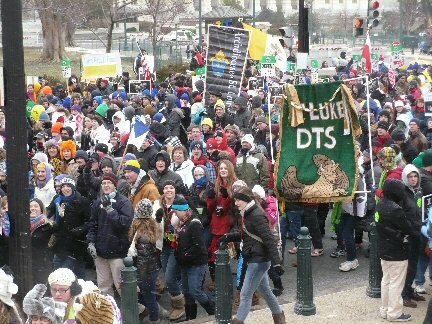 They came to profess their own individual beliefs or those of their parish, organization, school, or diocese; traveling from many states across the nation and countries of the world. 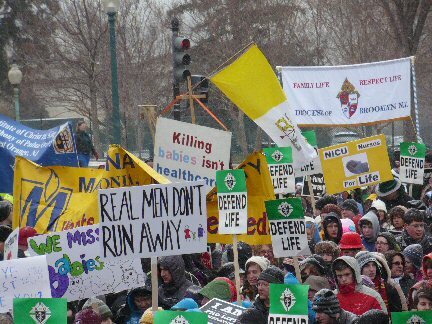 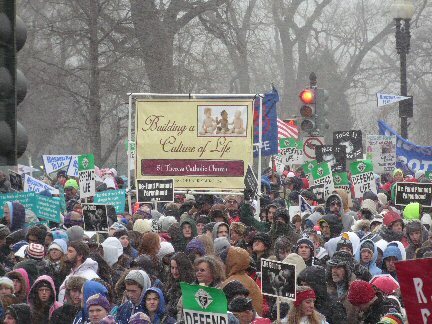 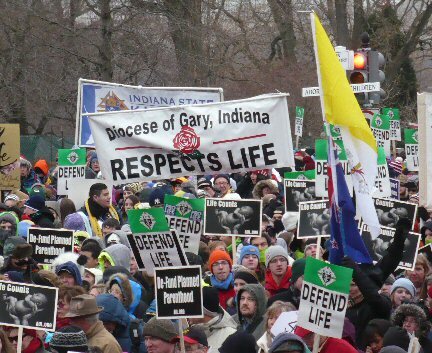 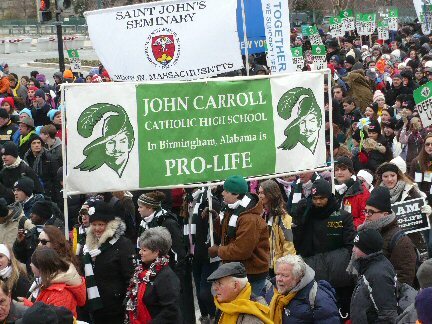 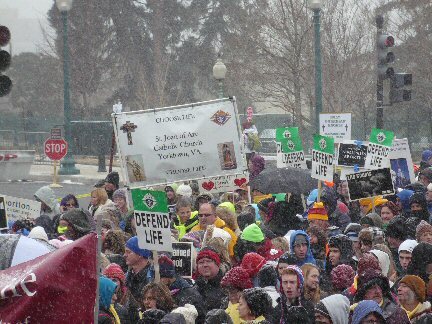 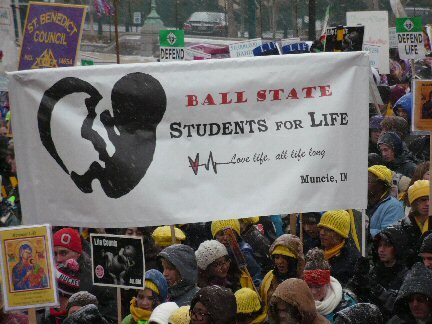 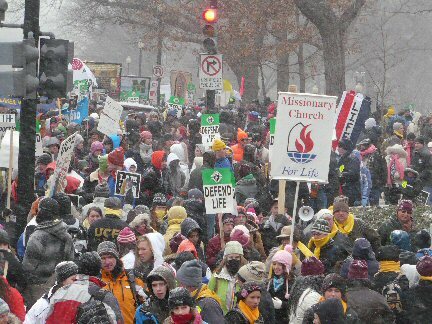 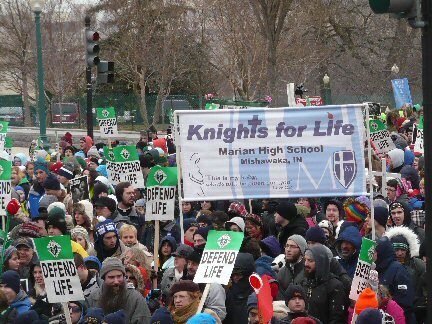 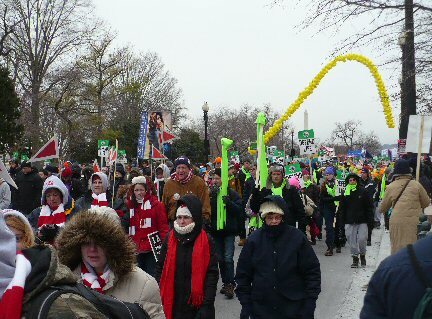 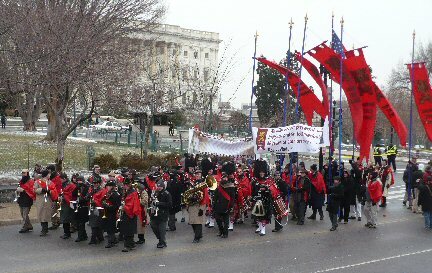 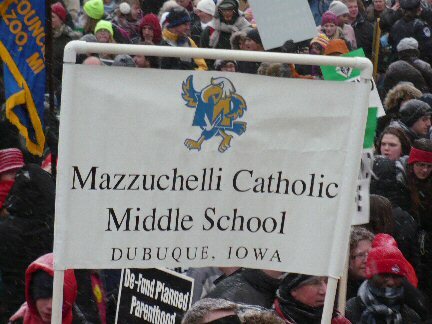 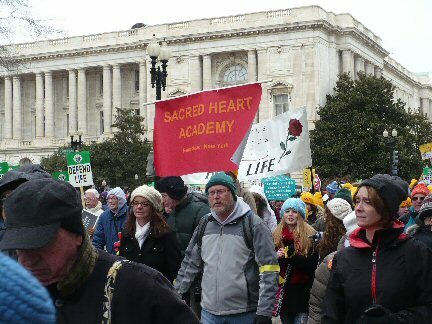 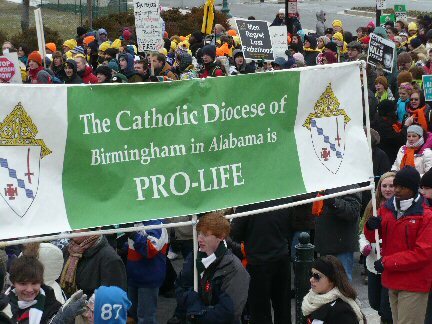 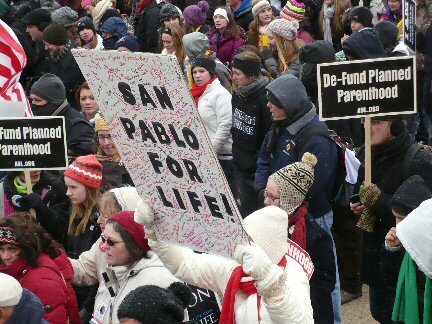 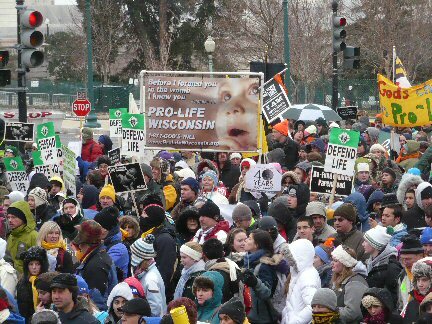 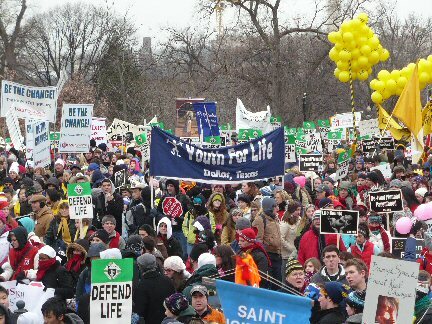 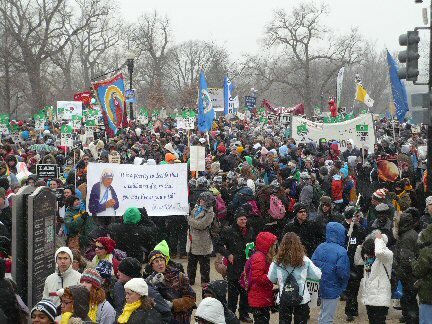 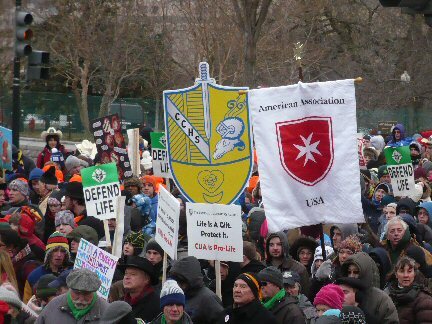 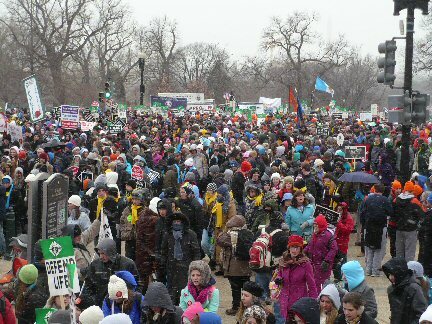 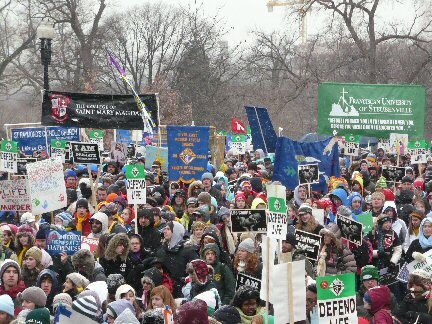 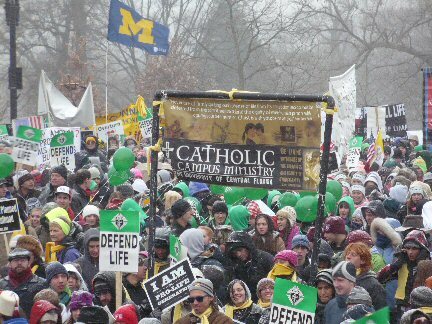 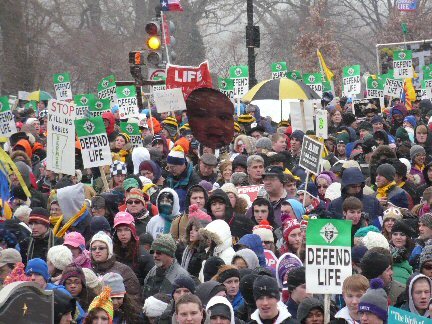 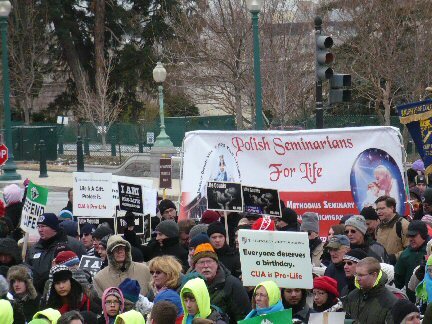 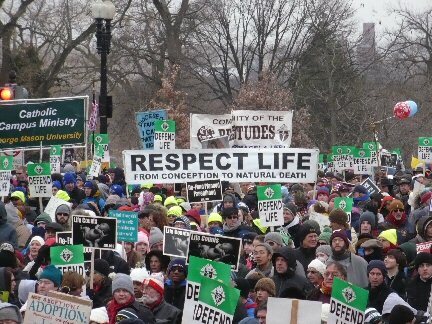 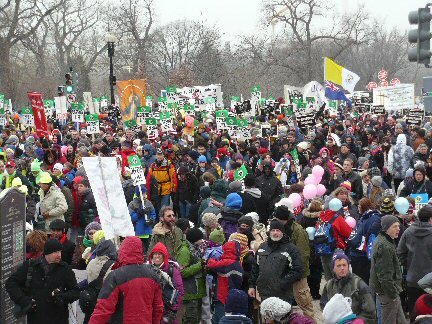 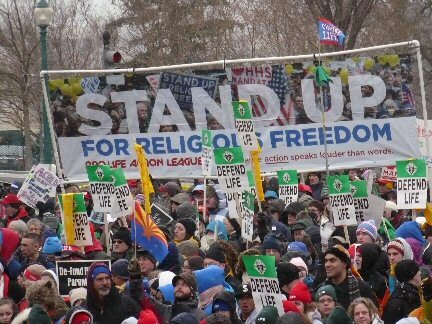 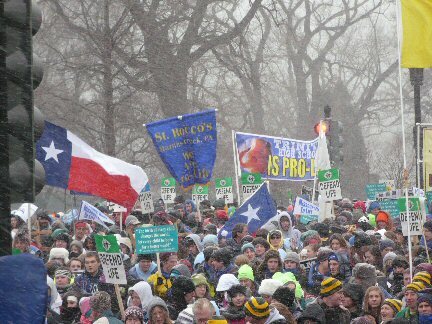 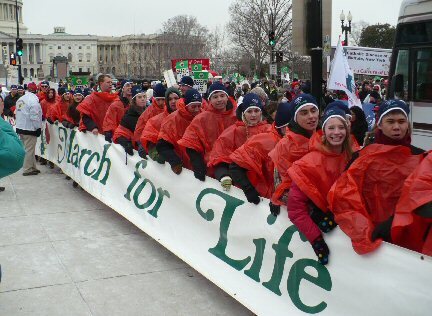 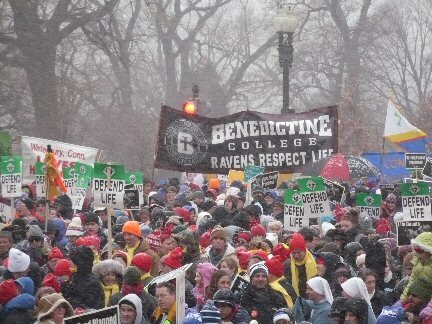 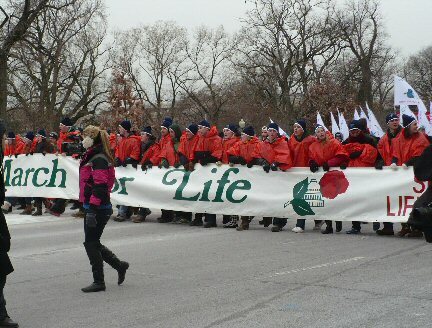 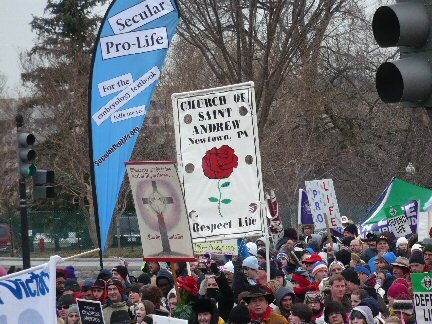 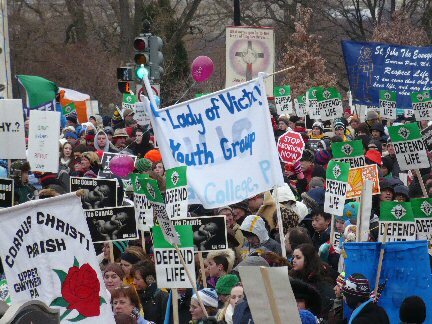 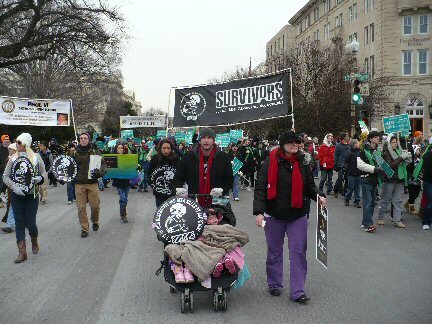 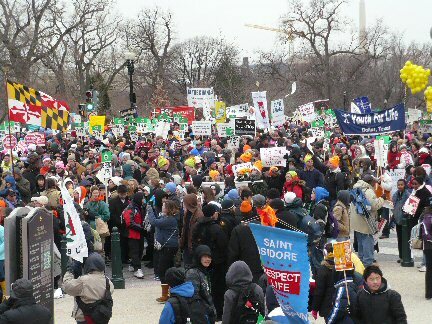 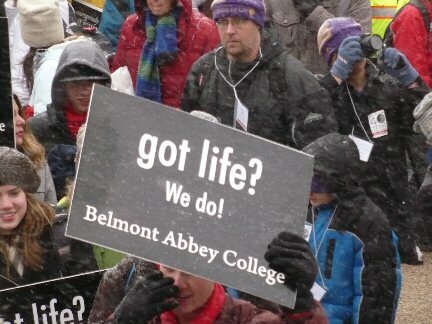 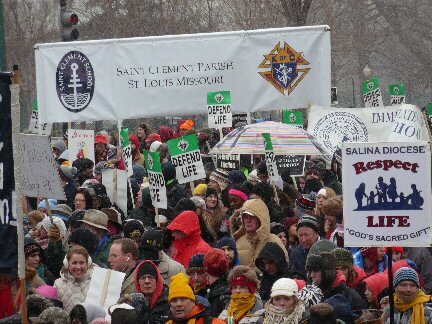 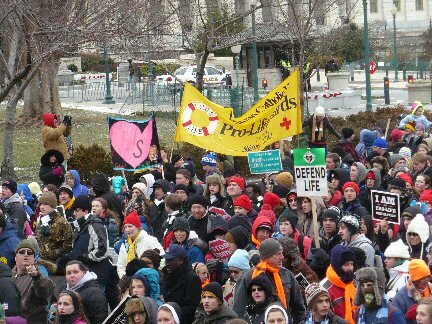 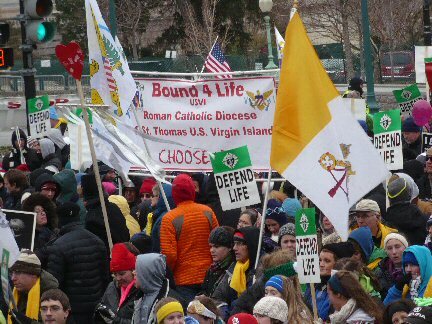 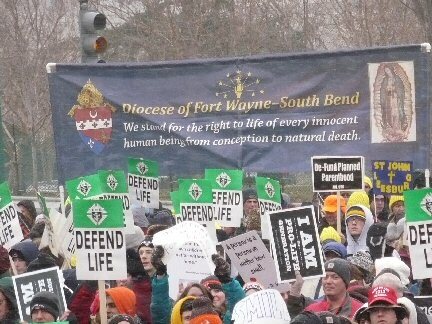 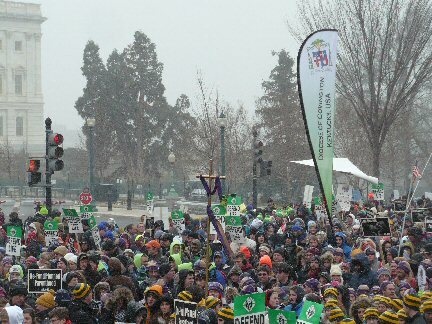 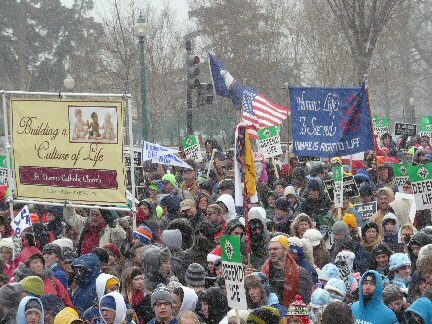 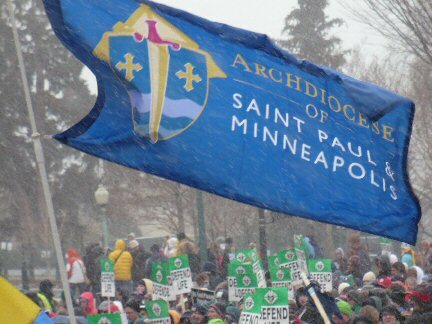 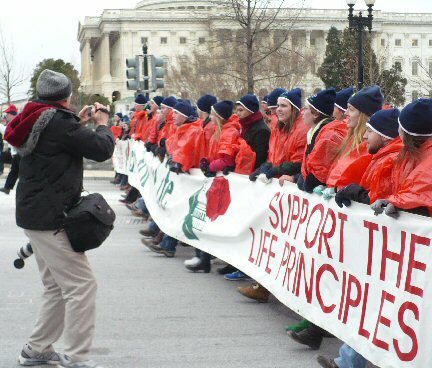 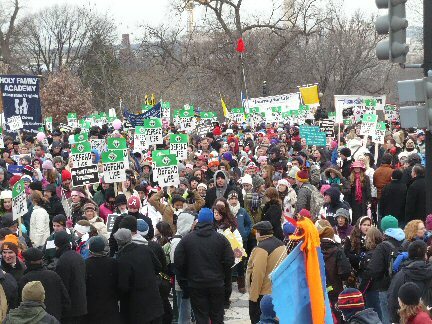 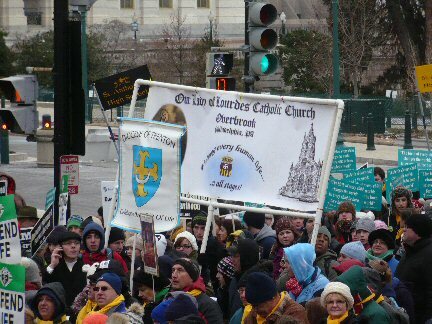 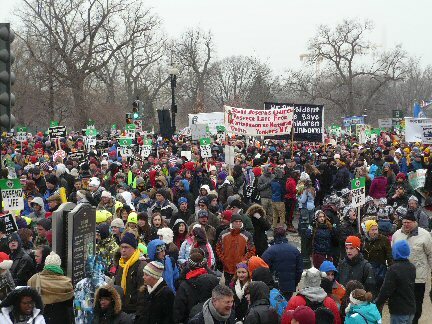 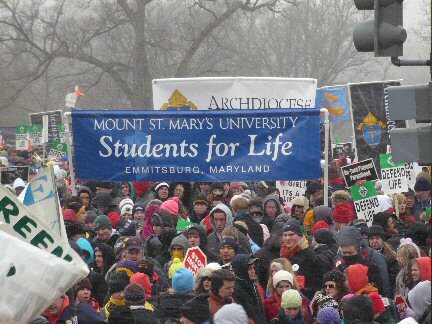 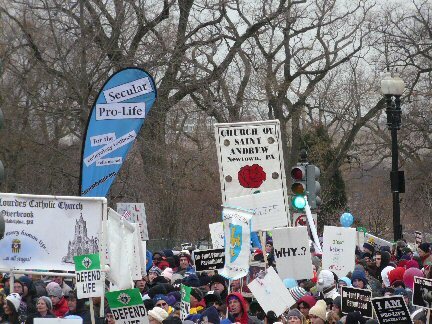 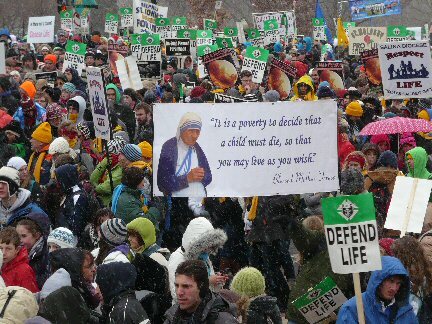 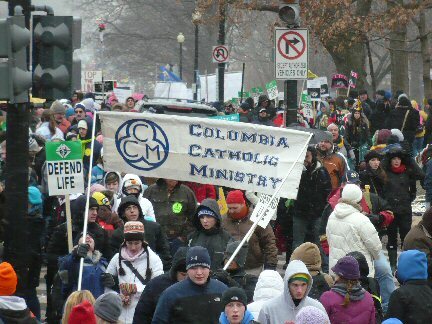 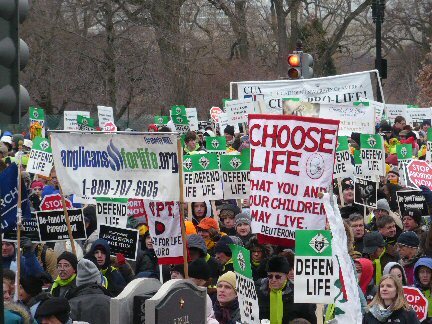 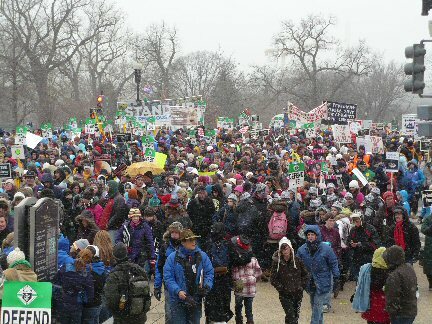 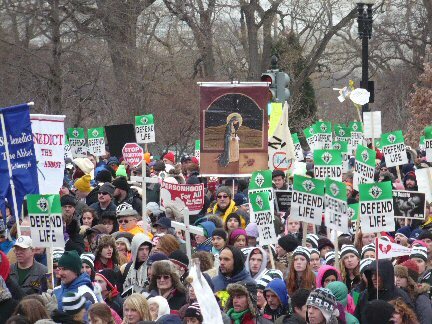 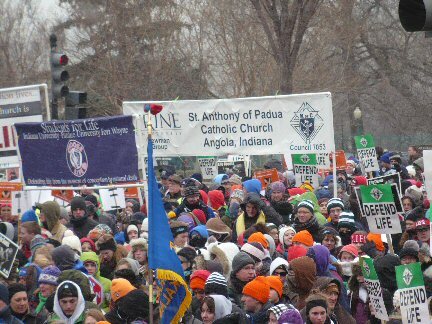 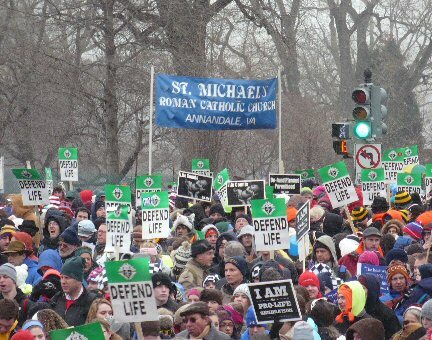 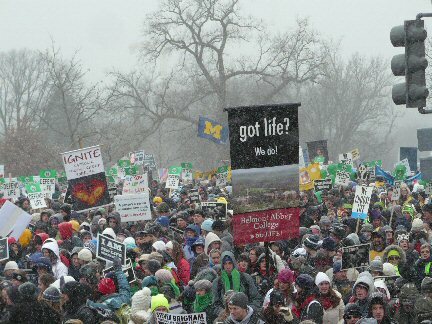 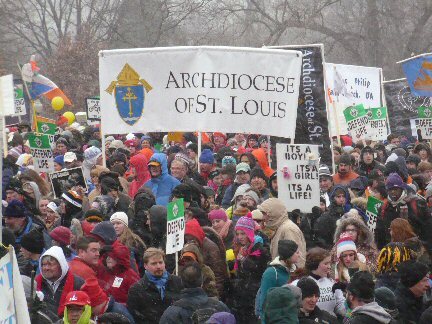 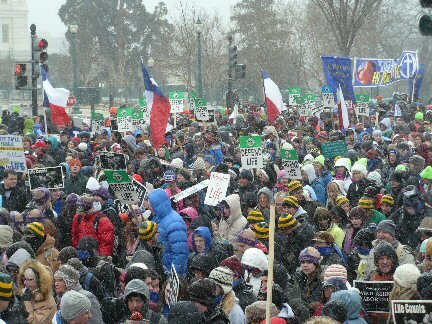 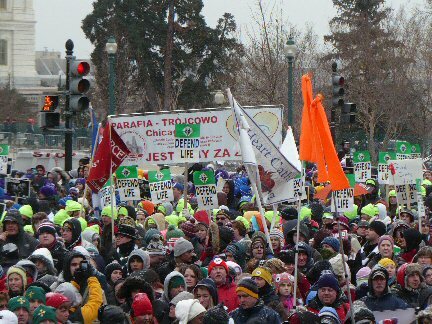 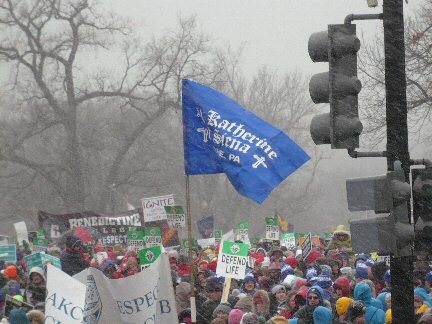 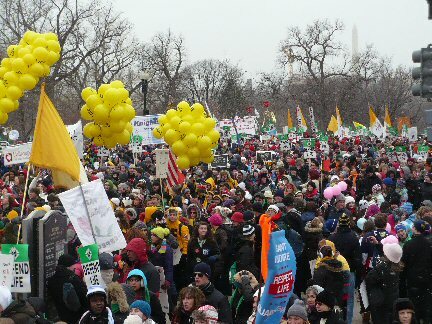 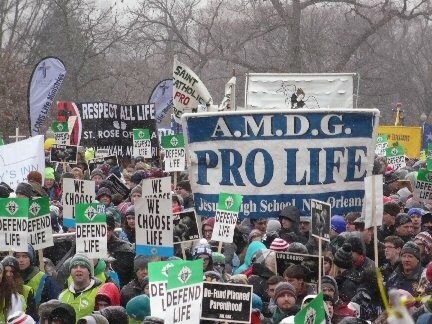 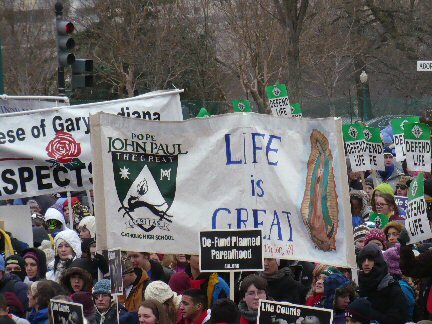 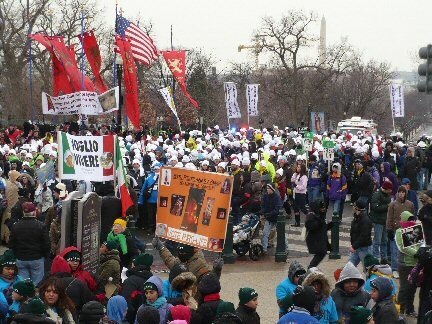 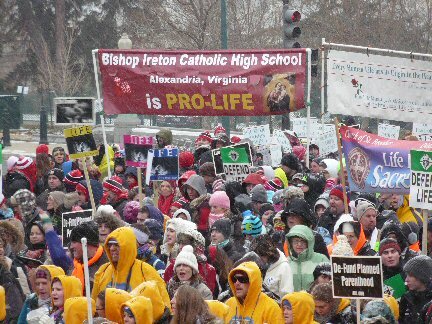 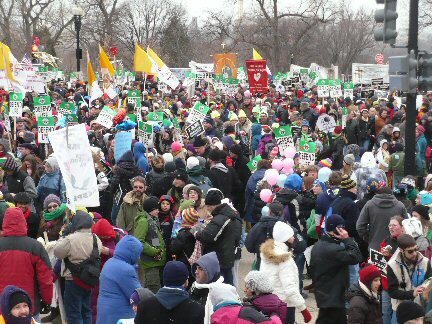 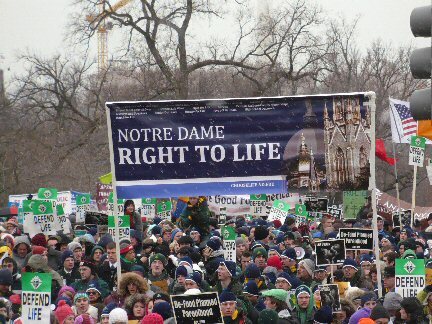 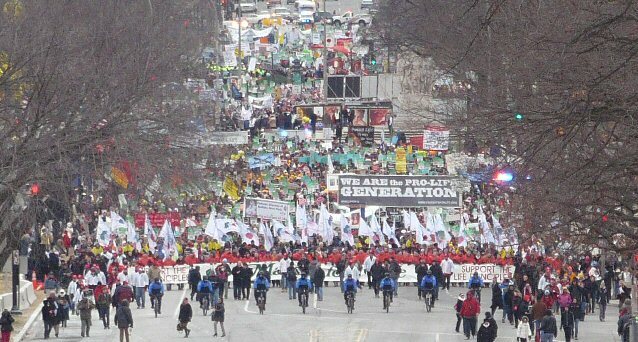 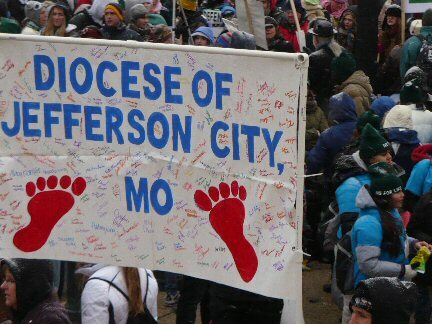 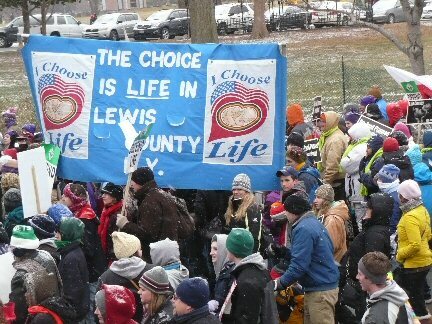 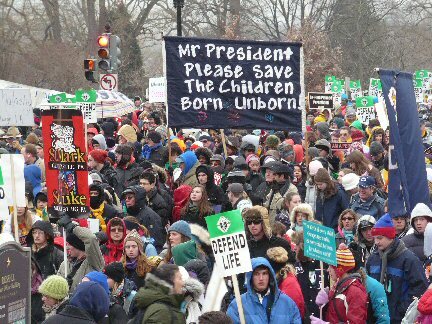 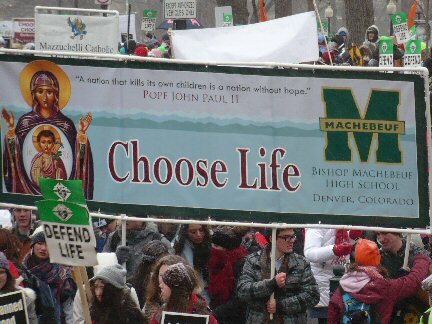 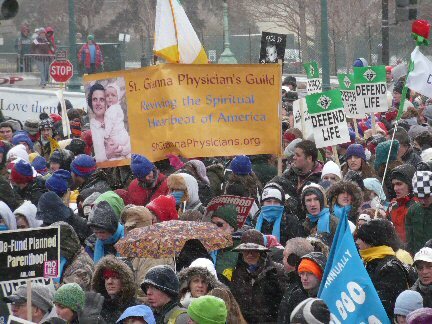 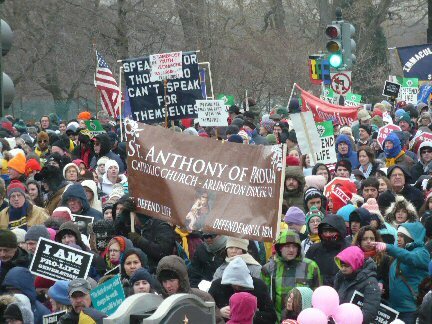 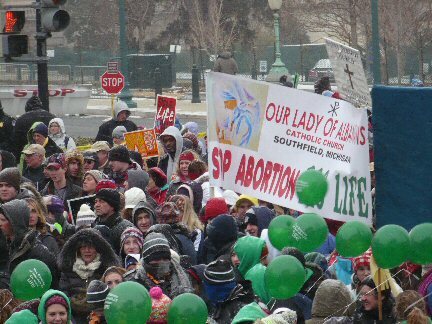 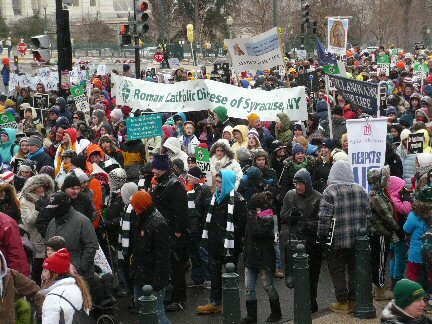 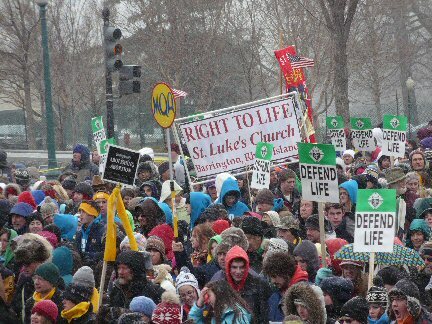 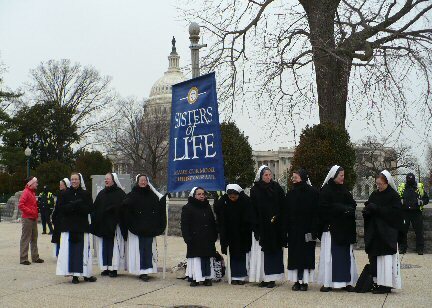 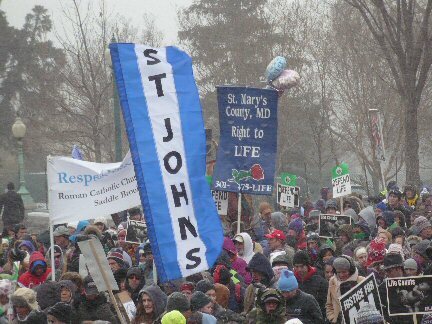 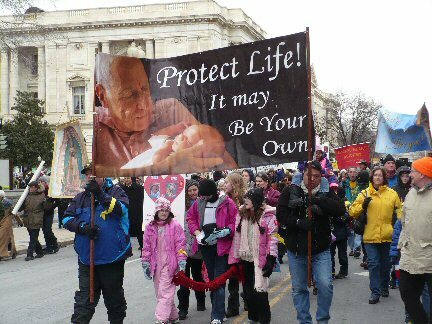 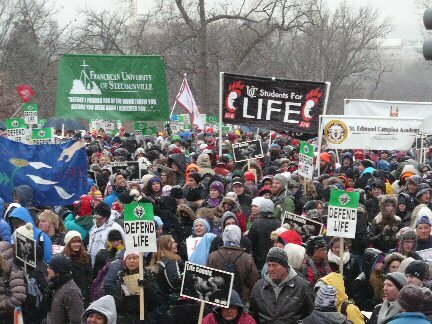 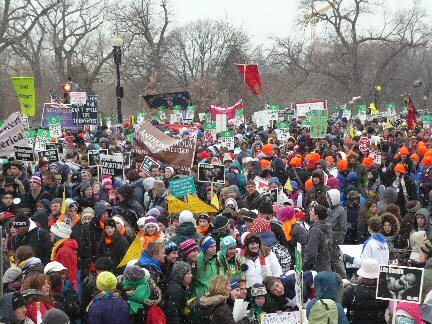 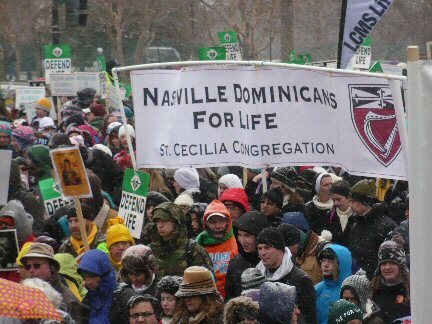 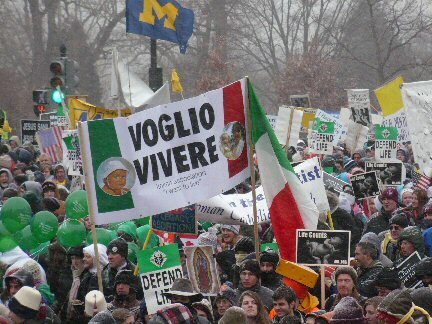 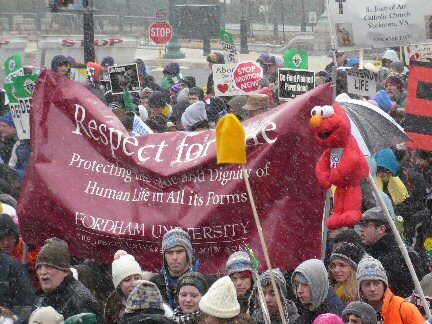 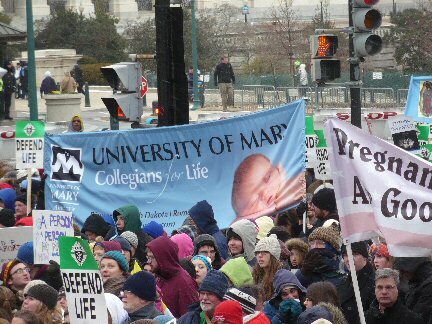 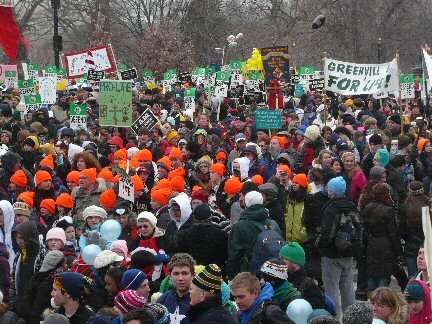 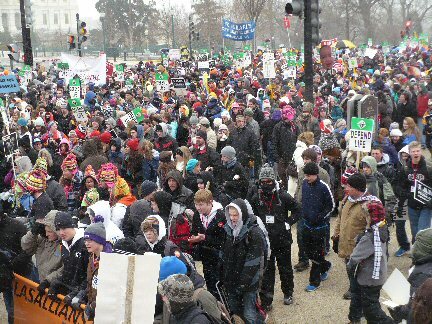 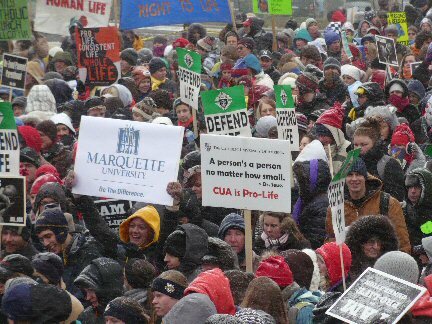 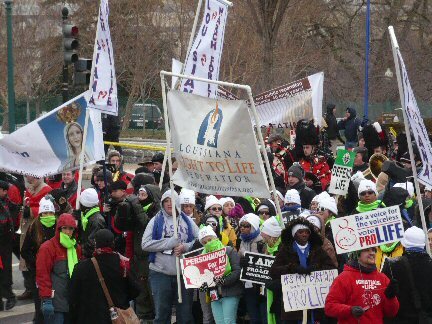 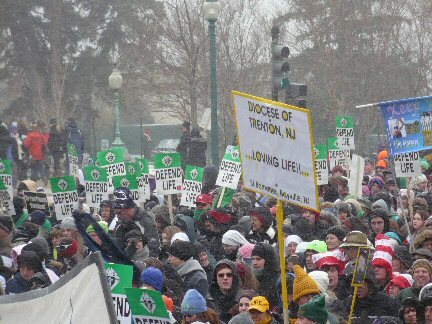 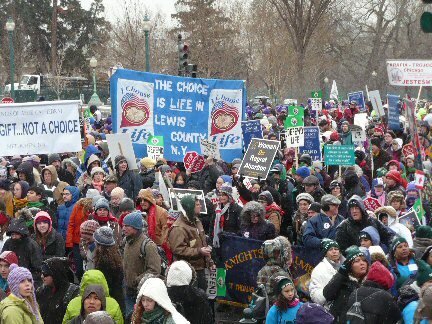 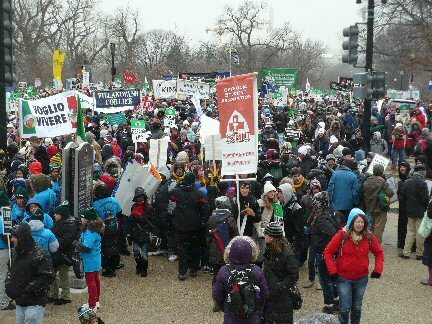 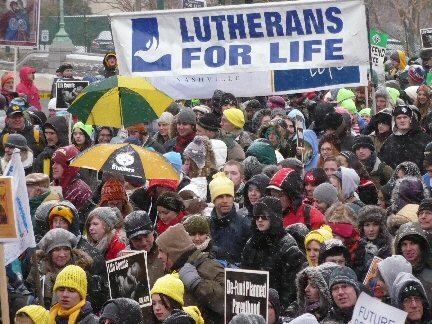 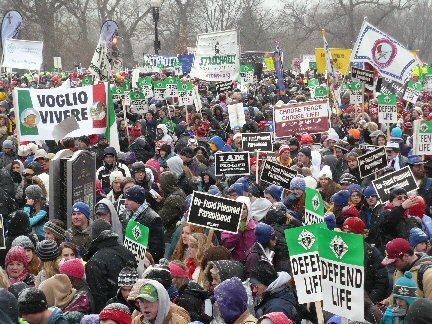 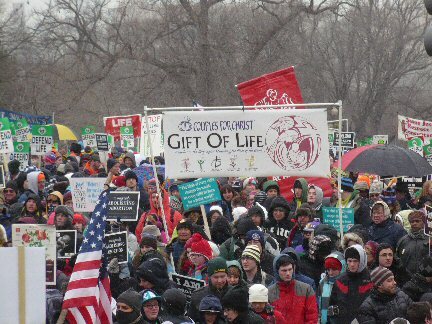 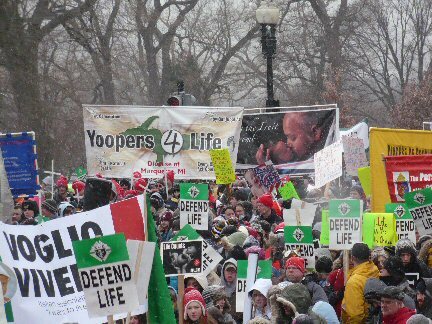 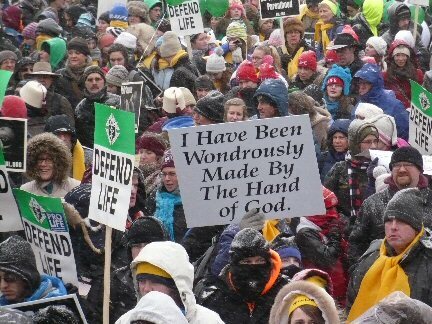 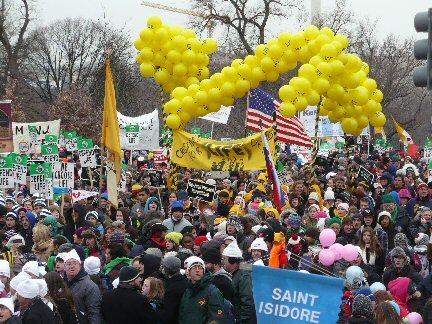 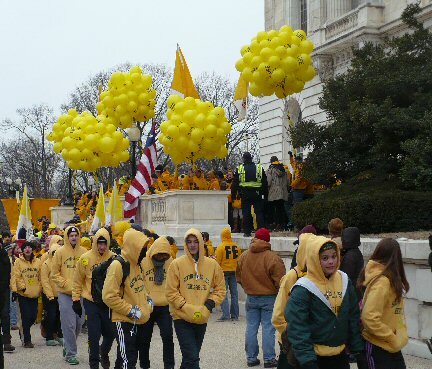 More than 500,000 thousand marchers braved the snow and winter temperature in the low 20s to publicly profess their conviction that the life of the unborn child is sacred and therefore has value.